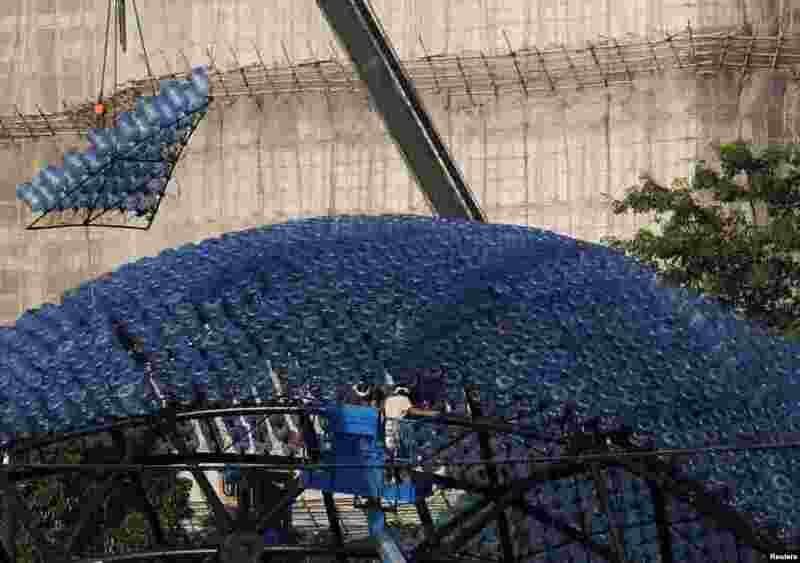 1 A segment to be assembled onto a sculpture containing 7,000 recycled plastic water bottles with LED lights, measuring 20 meters in diameter and 10 meters in height, is dangled from a crane at Hong Kong's Victoria Park. The "Rising Moon" is a giant lantern created to celebrate the upcoming Mid-Autumn Festival which falls on Sept.19. 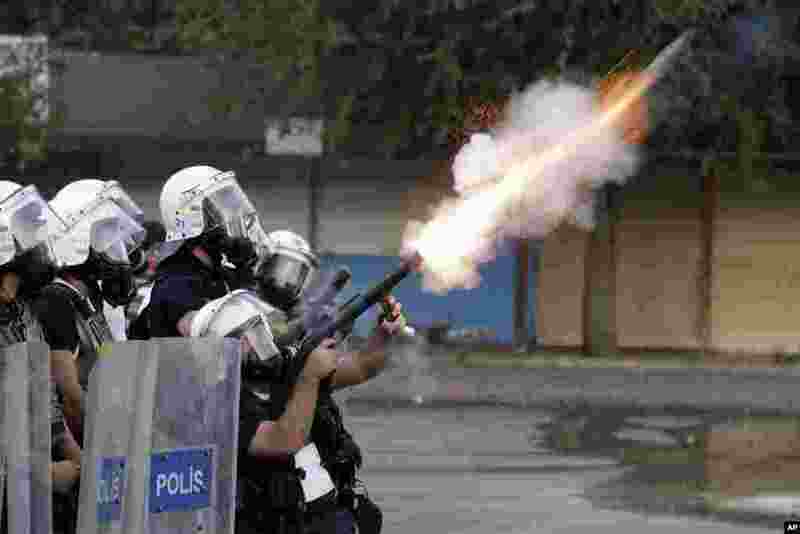 2 A Turkish policeman fires teargas during clashes that broke out to protest the death of Ahmet Atakan in Hatay, Turkey. Atakan, 23, died in Hatay after being hit in the head by a teargas canister shot by police during a an anti-government protest, the Atakan family said. 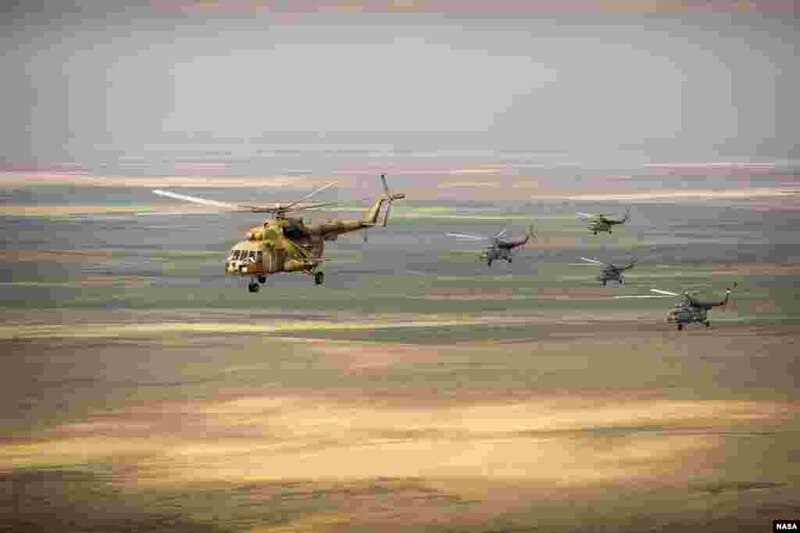 3 Russian search and rescue helicopters fly over Kazakhstan from the city of Karaganda to Zhezkazgan a day ahead of the scheduled landing of the Soyuz TMA-08M spacecraft. Expedition 36 Commander Pavel Vinogrado of the Russian Federal Space Agency, Flight Engineer Alexander Misurkin of Roscosmos and Flight Engineer Chris Cassidy of NASA are returning to Earth after five and a half months on the International Space Station. 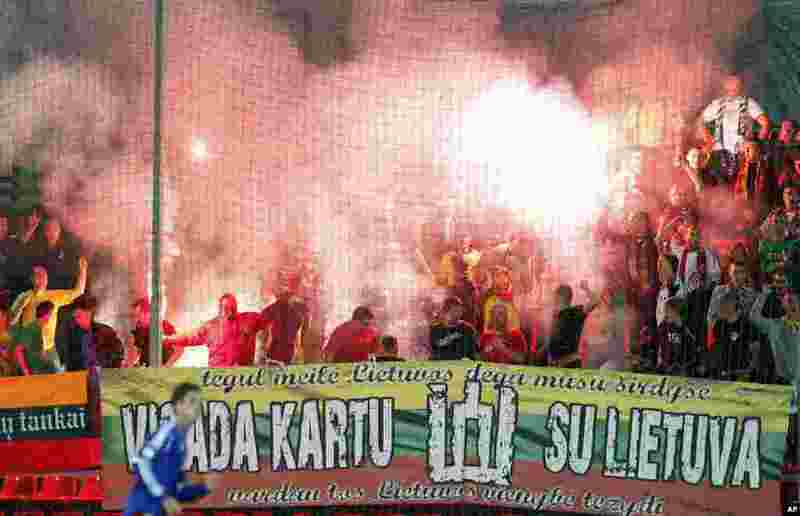 4 Lithuania's fans support their team during the World Cup group G qualifying soccer match between Lithuania and Liechtenstein in Marijampole, Lithuania.